Looking for the perfect Mother’s Day Gift for the green beauty mama in your life? Why gift flowers when you can gift something a bit more lux? I love Roseship Seed Oil," says Cara Bondi, our VP of Research & Development. "It's a compelte nutrional supplement for the skin." 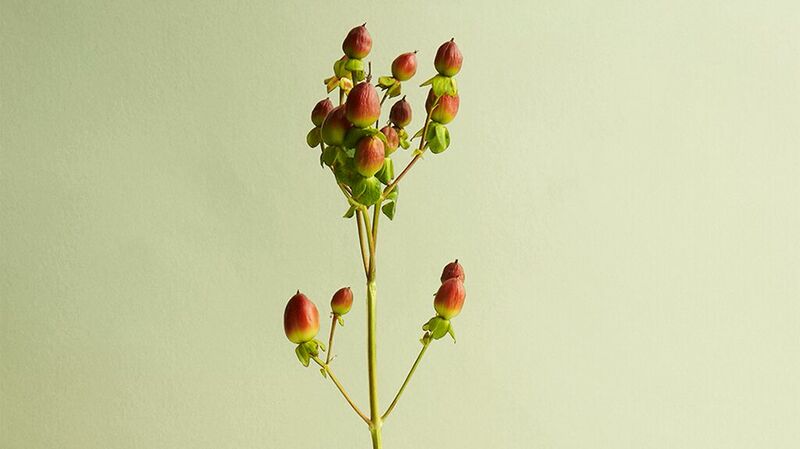 She’s not alone, Rosehip Seed Oil is beloved by many in the natural skincare world. As one of the leading ingredients in our botanical blend, the almost endless benefits of our Retinoic Nutrient Face Oil speak for themselves. So, what’s all the hype about? Is Rosehip Seed Oil the same as Retinol? What will make this gift stand out? For starters, Rosehip Seed Oil is not actually extracted from roses (that part of the gift will have to come separately), but instead is pressed from the seeds of rosehip fruit which we source from Chile and batch on our farm here in Vermont. As for being the natural version of retinol, the short answer is yes, this is true. Rosehip Oil in the purest form is naturally derived vitamin A, which is retinol without the added retinoic acid you’ll find in chemically formulated products on the market. Filled with essential fatty acids and omegas, this lightweight oil can take the place of your moisturizer, or can be used after a cream to lock in hydration even longer. By placing the oil on top of your moisturizer, you're able to seal in hydration and the other Tata Harper Skincare products used beforehand. One of Tata’s favorite tips is to blend a few drops of the oil right into your moisturizer of choice for an extra boost - perfect for quick mornings on-the-go. With high levels of vitamin C and minerals, antioxidant properties from the oil can protect and repair UV-damage and help reduce the appearance of fine lines and wrinkles. “This is especially great for those with sensitive skin who are looking for a more gentle approach to anti-aging,” says Cara. Retinoic Nutrient Face Oil’s blend of Rosehip seed oil, olive oil, and jojoba oil absorbs easily and helps to deeply hydrate and calm the skin, while Linden soothes irritated and hypersensitive skin. “This product is a lifesaver after an unforgiving day in the sun,” says Will, Client Relationship and Education Associate. As for scarring, Vitamin C and A can assist with the fading of acne scars, sunspots, or areas of hyperpigmentation. I know what you’re thinking, how can an oil exfoliate? Vitamin A (again, our natural retinol) promotes cell turnover, which in turn can help with uneven texture, blemish-prone skin, and even rosacea.